Let there be so much light that darkness be afraid to set foot in . . .
DISCLAIMER : The views expressed are personal. Bhagwad Gita teaches us that nothing in this universe is permanent. Whoever has come will have to leave. 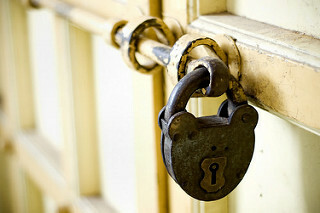 However, it is departure only to the mortal eyes; in fact, objects and beings only transform from one form to another. And this transformation makes one better and stronger. Thus, the ultimate objective of every human should be to improve oneself, to get better with each passing day. When such effort for excellence and improvement is not made, stagnation creeps in and with that the decay and ultimate fall of the individual is imminent. In growth is life. When I started my writing journey, I was not sure how long would I continue. My aim was not to have fun; instead, I had some words to say, some thoughts to share. I did not hope for any reverberations; however, contrary to my expectations, the response has been deafening! I have been overwhelmed and deeply touched and moved by the support shown by my readers. That you have found time and willingness to stay on this page and read the paragraphs in full is worth appreciation. That too in today's world of scrolling timelines. As you made an effort to reach these pages, so a responsibility also fell on me to make your stay worth it. Yet, there was a limit upto which I could go with my efforts, and there I had to stop. Now there were two options -- either to leave it at that and thus succumb to decay and demise, or to take a long jump, a tiger leap towards lifelong improvement. I chose the latter. So friends, with great sadness I announce the closure of this blog, as a sacrifice for achieving better things. In the words of Sri J Krishnamurti, ". . . There is ending of the old for the new to be . . . Everything must end for the new to be". It had to be so; you saw it coming. In simple terms, this means that I have moved from a room on rent to my own house (this simile is by Vinodini Iyer). It also means that I am going to stay. I hope that your affection and support would remain with me in the next phase of my literary journey also. 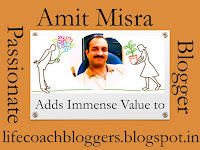 I request you to take a little trouble and follow the new blog using any of the various options available there. Finally, before I take your leave, let me dispel some doubts. 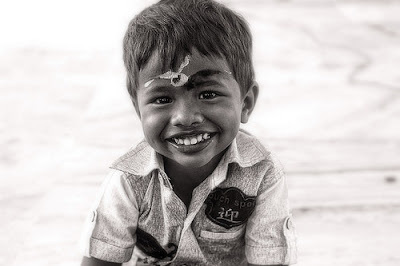 'Yashaskar' -- one who brings glory -- was the name my parents had thought for me, but didn't give it. And 'Pradyot' means ray, light, lustre. -- ऐसे ही किसी की भी साइकिल पर बैठ जाओगे, कोई चलने को कहेगा, तो चल दोगे ? यह तो मैं हूँ, लेकिन अगर कोई उठा ले गया तो ? 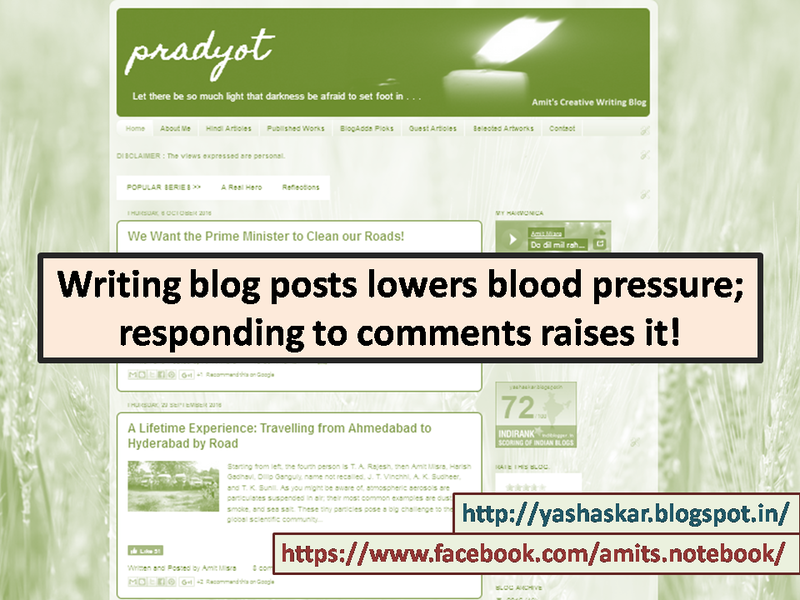 My Tweet Featured in Blogadda Perky Tweets! 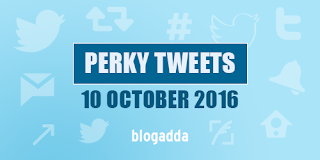 I feel very happy to let you know that my following tweet has been featured in the 10 October 2016 edition of Blogadda Perky Tweets. You would notice that even on Twitter, I have not compromised on proper language usage. Once again I thank all of you for joining me in my creative writing journey and for keeping me inspired and motivated. 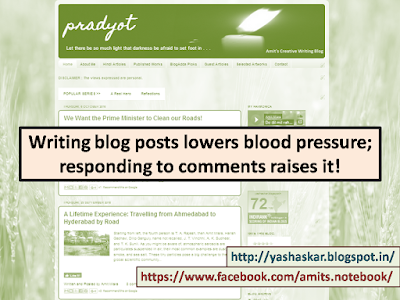 I am deeply touched by all the love and support that you have shown to my blog posts and published literary works. Please feel free to share any posts or articles that you find interesting. "Do you want the prime minister of the country to come and clean your roads?" Starting from left, the fourth person is T. A. Rajesh, then Amit Misra, Harish Gadhavi, Dilip Ganguly, name not recalled, J. T. Vinchhi, A. K. Sudheer, and T. K. Sunil. As you might be aware of, atmospheric aerosols are particulates suspended in air; their most common examples are dust, smoke, and sea salt. These tiny particles pose a big challenge to the global scientific community due to their impact on Earth’s climate. About 12 years ago, a scientific campaign was conceived as part of the ISRO Geosphere Biosphere Programme to measure the concentration of these particles over peninsular India. The experiment was participated by 7 Indian institutes. The basic plan was simple -- the different research groups would start from their respective places and meet at Hyderabad, where they would compare their results. The journey had to be made by road! Our research group from the Physical Research Laboratory, Ahmedabad started on 7th February 2004, armed with the blessings and best wishes of the members of our department. Some of the faculty members Prof. Shyam Lal, Prof. A. Jayaraman, Dr. S. Ramachandran and Dr. R. Rangarajan also accompanied us till Khera (Gujarat) to supervise our activities and to make sure that we would be able to handle the rest of the campaign on our own. All of us students, scientists and professors took our lunch together, which was a different type of experience. The professors and senior scientists reiterated their best wishes and instructions, and bid us farewell. The scientific campaign started immediately without any delay. The observations would start every morning around 10 o'clock, and continue till 6 o’clock in the evening. In the afternoon, we used to take our lunch in shifts. Once the prescribed task for the day was completed, we would proceed with our journey, looking for some suitable place to spend the night. The next morning would begin by searching for an appropriate place for taking observations, and the process would be repeated. In general, approximately 150 km distance was maintained between two observation locations. Total five vehicles and six drivers were on duty for this whole campaign. The researcher group represented aerosol physics, chemistry and optics, and trace gases. We were 8 researchers: Harish Gadhavi, Dilip Ganguly, J. T. Vinchhi and I studied aerosol physics and optics; T. K. Sunil, S. Venkataramani and T. A. Rajesh measured trace gases; and A. K. Sudheer collected samples for investigating aerosol chemistry. It was a nice group to work with -- we had a lot of fun, some arguments and everything that makes a trip enjoyable. The criterion for selecting a site for making observations was that it should be away from high anthropogenic activity. Search for a suitable place often led us to villages or to remote places, where people were more than amused to see such a large caravan of identical vehicles. Whenever or wherever we took a halt, the villagers or local people would flock around us with their curious eyes wondering what was going on. Initially, it was difficult to explain our work to them in non-technical but non-stupid words. We started by telling them, "We are trying to measure rainfall, and to make rainfall prediction for coming seasons. We are from Ahmedabad and going to Hyderabad. Does it rain properly here?" And then those people would join in the conversation and complain about the poor rain they had been having for the last couple of years resulting in poor harvest. 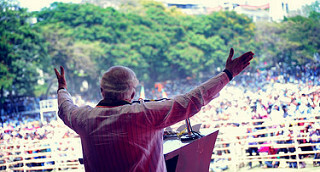 "You Gujaratis are very rich, we are not so", was a common regret. "You get a good monsoon; do something to send some part of that here! ", they would suggest in a satirical tone. Once we realised their eagerness and curiosity, we discarded our simplistic approach, and tried our best to explain the various nitty-gritty of atmospheric science to them, especially telling them what the various instruments were meant for. At some places we were offered grams, sugarcanes, tea, and even chapatis. At the end of each day, we would leave the place deeply touched by the warmth and affection of the local people. We also got a first hand experience of their sorrows and troubles, which are the same for all the people of the subcontinent irrespective of where you are standing. As I told you earlier, we study atmospheric particulates, and evaluate their impact on climate and weather. Till that time, we had formed a general idea of the scientific problem from laboratory experiments, textbooks and research papers. But it was this campaign which brought us in direct contact with those people who bear the maximum burden of climate change. These were the people whom our research is directed at. We understood the real implications of our research in palpable terms. On one hand we were delighted that such large areas of the subcontinent are still pure and pristine, away from noise and chaos of a large city. At the same time, we also felt sad on seeing how the progress made by a ‘Shining India’ had failed to reach these corners. I had to leave the research group at Surat, as I was instructed to attend a scientific workshop at the National Remote Sensing Agency (now ‘Centre’), Hyderabad. That means that I reached Hyderabad before rest of the group and waited for them there. The group joined me again at Hyderabad on 15th February, where intercomparison with the observations by research groups from Space Physics Laboratory, Trivandrum, Andhra University, Vishakhapatnam, Indian Institute of Tropical Meteorology, Pune, National Physical Laboratory, New Delhi, and Indian Institute of Science, Bangalore, were made. Once the intercomparison exercise was over, we set out on our return journey and reached Ahmedabad on late night of 29th February, gaining similar experiences as we had during our onward journey. Occasionally we happened to stay for observations at the same place, where we had stopped during the onward journey. Then the people there would immediately recognise us, and come running to extend their wishes and listen to our experiences and adventures. Personally, the biggest achievement for me was the visit to Ellora. It was a dream come true, and that too unasked for! Due to some technical issues, we had to change our plan of stopping at Aurangabad, and shift the venue to Ellora instead. I grabbed the opportunity and visited the caves, and spent several hours admiring those marvels of Indian art and architecture. Overall it was a complete experience, fruitful in both ways -- academic as well as non-academic. Indeed, it is an experience of a lifetime for any researcher.